Wavefront-guided ablation produces good results in patients with this challenging refractive error. Mixed astigmatism is one of the hardest refractive errors to treat with LASIK. In mixed astigmatism, one principal corneal meridian is myopic, and the other is hyperopic. The “push and pull” of flattening one meridian while steepening the opposite meridian requires a more complex ablation plan than the correction of simple myopic or hyperopic astigmatism, in which both meridians are myopic or both are hyperopic, respectively. Consequently, outcomes to date for treatment of mixed astigmatism have lagged when compared to those for myopia or hyperopia. Recently, a clinical trial was conducted to assess whether wavefront-guided LASIK for mixed astigmatism could produce results on par with those for myopia or hyperopia.1 That trial, in which my practice was one of the participating centers, conclusively demonstrated the value and efficacy of an excimer laser system using a high-resolution wavefront guided sensor. The clinical trial, conducted at eight sites, included 149 eyes with mixed astigmatism. All patients received iDesign LASIK treatment with the Star S4 IR (Abbott) excimer laser system in tandem with a high-resolution wavefront guided sensor, the iDesign Advanced WaveScan Studio System (Johnson & Johnson Vision Care). At 3 months postoperative, 91.9% of eyes achieved uncorrected visual acuity (UCVA) of 20/20 or better and demonstrated early refractive stability. Roughly 90% of eyes had 0.50 D or less of residual astigmatism, and 90% had a manifest refraction spherical equivalent within ±0.5 D of emmetropia. These 90-90-90 results were achieved without any enhancement procedures following the complex refractive correction. The study yielded results comparable to those for excimer laser treatment of myopia and myopic astigmatism, the most common and successful LASIK correction. Subjective data collected in the study showed that, in addition to attaining good refractive results, patients were also very satisfied with the quality of their postoperative vision. Every study patient in our clinic took a survey before and after surgery, measuring 14 parameters of visual quality including glare, activity limitations, and clarity. Patients reported improvement in every category. Additionally, contrast sensitivity improved at all measured spatial frequencies and under all testing conditions. The iDesign Advanced WaveScan Studio System, the latest generation of Abbott’s wavefront analysis system, measures 1,200 points on the surface of the cornea, a fivefold increase over the previous standard of 240 points. The additional data yielded by this increased sampling may be crucial in treating mixed astigmatism, in which the corneal wavefront is more variable than other refractive errors. In myopic and hyperopic astigmatism, the wavefront is myopic or hyperopic everywhere across the pupil. In mixed astigmatism, by contrast, there is greater variability across the pupil; the wavefront is myopic in some sectors of the pupil and hyperopic in other sectors. With a high-resolution scan to measure and map the irregularities, the laser can be programmed to perform more intricate and customized ablations. Highly complex and accurate nomograms have developed and evolved based on 2 decades of patient data and experience. When paired with significantly more data obtained from the latest generation wavefront scan, more precise, complex, and individualized ablation plans can be devised to guide the laser. More data and better nomograms equates to increased vision quality for patients. The results of our study described above were used to support the US regulatory approval in January of the Star S4 IR excimer laser system and the iDesign Advanced WaveScan Studio System for treatment of mixed astigmatism. The US Food and Drug Administration approved the use of the system for 1.00 D to 5.00 D of mixed astigmatism as measured by the iDesign System, where the magnitude of cylinder is greater than the magnitude of sphere, and the cylinder and sphere have opposite signs. 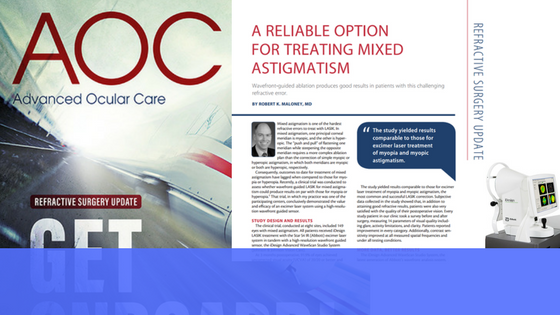 With this approval, a reliable treatment option is now available for this previously underserved class of patients with mixed astigmatism. If further approval of the system for use in hyperopia and hyperopic astigmatism is forthcoming, surgeons will have the ability to treat virtually every form of refractive error with one system. Over the past 10 years, LASIK treatment has seen tremendous improvements in safety and the ability to produce excellent outcomes. 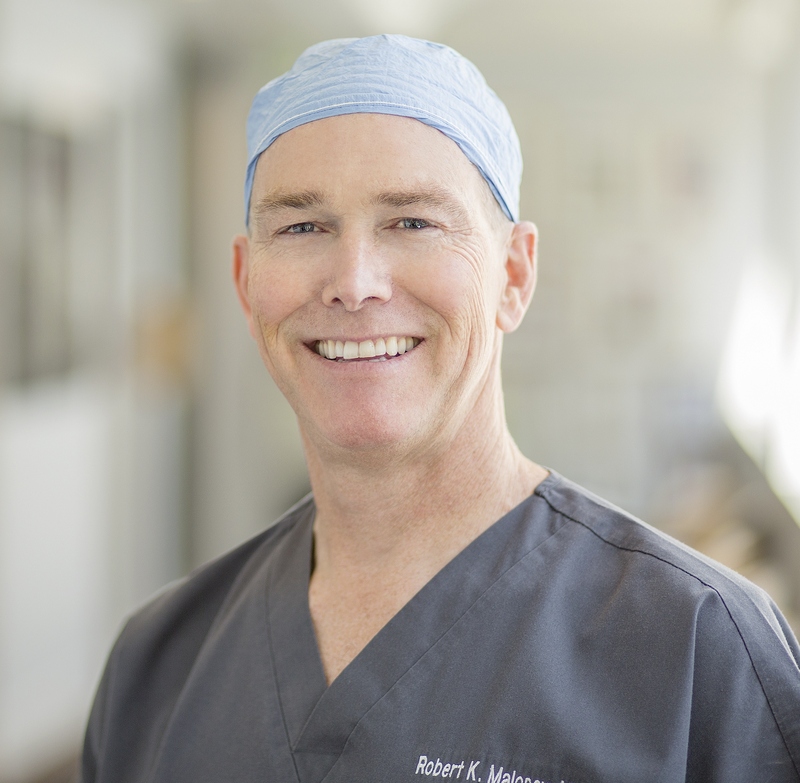 Regulatory approval of wavefront-guided LASIK for mixed astigmatism with this system opens up access to safe and reliable treatment for a new patient population. For surgeons, the ability to treat a broader range of patients and more types of refractive error will help to streamline and consolidate technology requirements and to bring new patients to the practice.